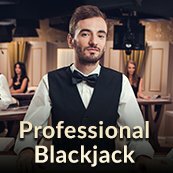 Welcome to the newest and most exciting real Blackjack experience! Join us and play at Irish Spins in a real casino with the best gameplay and best perks around. You'll get to enjoy all the glitz and glam of an on-land casino from anywhere you like! Play from home, or on the go with your mobile device and start winning big now! This fun and exciting game will have you on the edge of your seat. The aim is simple, but there are some rules you should make sure you understand. The player's goal is to be dealt cards that reach, or come close to the sum of 21 without going over that value. The dealer deals everyone including themselves two cards, and based on those cards' value the player decides whether to stand – not be dealt any further cards – or to hit – get dealt another card whose value will be added to the previous card(s). You are playing against the dealer who is also trying to reach 21 without going over. Your outcome is the probability of winning or losing based on a certain bet size and number of hands. As you play blackjack online, you may double down, which means you can double your initial bet after the first two cards are dealt and receive an additional card. You also have the option to split when dealt two same value cards, playing each card separately. If you opt for insurance, you can make a side bet of up to half the initial bet against the dealer. You may also make a side bet, or an additional bet made based on the player's first two cards and the dealer's upcard (showing card). If the three cards form a straight, a flush, a straight flush or a three-of-a-kind the player wins. Perfect pairs is another type of side bet based on a mixed pair, a coloured pair, or a pair of matched suits. Likewise, 21+3 is another optional bet to form a three card hand with the dealer's upcard. And if you take an interest in what other players are up to, you can bet behind. This is an exciting feature allowing you to bet on another player's hand! Use multi-game play to play more than one hand at a time and get started! A common question you may be asking yourself is can you count cards in online blackjack? The short answer is no. Besides, counting cards is never allowed. Now that you've got the rules down, you can play blackjack online for money and loads of fun! There are so many amazing variations of Blackjack as well. That's one of the benefits of playing online blackjack vs live blackjack. With Irish Spins you can enjoy Classic Blackjack, European Blackjack, Professional Series Blackjack, Blackjack Silver, and Pontoon. So many versions make for some of the best blackjack UK one could ever wish for. Try them out and experience fast paced wins and amazing gameplay. You'll become a pro in no time when you play Blackjack at Irish Spins. Joining Irish Spins has never been more exciting because you have the opportunity for so many bonuses and offers right away! 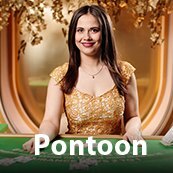 When you join to play at Irish Spins you will enjoy an incredible welcome bonus! Plus you'll get additional second and third deposit bonuses. Those are some truly lucky blackjack bonuses! You can use them to try your lucky hand at blackjack when you go up against the dealer, or save them for a rainy day. Either way, loads of perks and bonuses are waiting for you when you get started at Irish Spins! Make the most of them and join now! We mentioned some important terms in the How to Play section but here's a few worth repeating. Keep this glossary of terms in mind as you play and you'll be collecting winning hands in no time! These terms will help you stay alert and play quickly for faster better wins! Once you master them, nothing will get in your way of playing a fun and rewarding game of Blackjack. With just a little practice, you'll know exactly when to hit or stand, when to take risks and split your bets, and you'll be able to do your best to avoid a bust. So get playing and enjoy the wild Blackjack ride! Irish Spins is waiting for you. Come join the fun and play many variations of exciting blackjack, with loads of opportunities to win big! These rooms make you feel like you're in an on-land casino, complete with all the thrills.